It’s that time of year again. Spring is here, so the annual rush to the altar can not be far behind. But wait. Have you checked what this marriage will do to your credit score? As a couple you may want to purchase furniture, a car or even a house. For that, you will need good credit. How you handle your credit after marriage can have a big effect on your future plans. Won’t our credit will automatically merge after marriage? 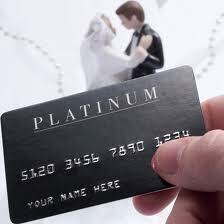 Most people think that credit is automatically joined as soon as you tie the knot. NOT TRUE. In fact, assuming both parties to the marriage already had credit scores, these will continue to exist separately UNLESS the couple applies for a car loan, say, jointly or a credit card jointly. My spouse defaulted on a loan. Will my credit score be damaged? Actually, whatever your spouse has on his or her credit will have no effect on you at all UNLESS you apply for credit jointly. This means if one spouse has good credit and the other bad, it is imperative to keep them separate. That way if the spouse with the good credit can qualify alone, then he or she can buy a car or a house for the couple using his or her good credit alone. We both have good credit, so we can merge our credit., right? This is true EXCEPT it is always a good idea for each spouse to keep some credit in his or her name alone. That way if something happens to the other spouse, a job loss, for instance, the entire credit of the couple will not be damaged. My spouse works and I stay at home. Shouldn’t my spouse have the credit? Again, NO. Think about it. If your spouse dies or loses his job, then the entire credit of the family could be lost. Always keep at least some credit separate. Think of it this way. Let’s say you and your spouse Bob decide to buy a car. 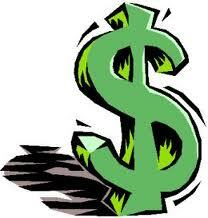 You apply for the loan jointly and start enjoying the car and making the payments. Then, Bob loses his job and the bills pile up. You both realize you really cannot manage that car loan, so you let it go. The car loan goes into collection and eventually the car is repossessed. Now both your and Bob’s credit is ruined and your family has no more access to credit. Here’s another scenario. Jack and Jill keep their credit separate. Jack buys a new car on his own and makes the payments until he loses his job. Then, the couple sits down and figures out that they can pay their bills for a few months of unemployment, but after that no. So, after a few months they stop paying on Jack’s new car and credit cards and pay only debt in Jill’s name. Jack’s credit is trashed, but Jill’s remains the same. That way at least the couple still has access to credit during their time of need. Of course, they could also decide to pay all the bills in Jack’s name instead of Jill’s name. The important thing is to keep someone’s good credit. Do that by keeping some credit separate. Recently, the New York Times ran an article discussing the relative merits of paying down a mortgage. According to the article, one should think long and hard before adding even $25 a month to extra principal. How have we arrived at such a state? How could paying down or paying off the mortgage ever be considered anything but good? Well, there are many reasons and all of them add up to one thing: our financial system rewards mortgage debt. That sound crazy, doesn’t it? But, that’s the truth of the matter. Though the article does give admit that having no mortgage does have psychological benefits, a sense of security, a feeling of real ownership, the author feels the actual cash benefit seems paltry compared to the the potential financial pitfalls. Financial analysts consider twofold main pitfalls in socking extra cash into the mortgage, one is lost profit on the stock market and the other is lost tax deduction. As for stock market “profits,” in my view, how can financial analysts still be flogging stocks and bonds after the recent Wall Street debacle when the federal government was called upon to prop up our largest corporations and financial institutions which were in danger of “melting down”? This is not 1929 we’re talking about, but 2007 to 2009 when trillions were wiped out of 401 ks and IRAs. We are still dealing with the aftermath of pension fund investments gone south and even giant funds like California’s PERS have been accused of excessive expensing at the same time that its holdings plummeted. In the meantime, the NY stock market has been on a wild ride ratcheting up and down with gay abandon in the intervening years. Is the average person really supposed to consider the “opportunity cost” of lost stock market profit over the real and tangible comfort of paying off the mortgage on his or her own home ? The next “pitfall” is losing the tax deduction. Let’s take the example of a 30-year fixed rate $400,000 mortgage at 4.25%. 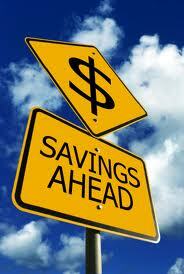 Pay an extra $200 per month and you pay it off in 25 years and save almost $60,000 in interest. If you are in the 28% tax bracket, losing the deduction means you really save $42,000 or 3.06%. Is that such a bad thing? At least paying off your mortgage is a sure thing whereas “betting” on the stock market hammers even the so-called experts. Financial analysts worry that putting all that money into a home mortgage is really putting all your eggs in one basket.They all seem to think the stock market is better and trot out the old stats about how over time the market is really making money. Maybe so, but the average homeowner is really in no position to figure out how to fit himself or herself into those stats which have badly skinned many an amateur, not to mention the professionals. The bottom line in my view is that of course it is better to pay down your mortgage. If you are heavily indebted to credit cards or any other high-interest payment, pay those down first. But, if you can manage a few extra bucks or even one extra payment a year–Just Do It!! As promised, here’s the next installment [and, most likely, the last] of how to save money in THESE TOUGH TIMES. Save cellphone minutes and your time by skipping the long-winded voice-mail greetings. Press * for Verizon, 1 for Sprint or # for AT&T and T-Mobile. Need a phone number? Call 1-800-GOOG-411 for the number and then to have it dialed. All FREE. Looking for a Wi-Fi hotspot? Check jiwire.com. Works in 144 countries. Want super-great rates on airfare? Get a group of at least 10 travelers and many carriers, including Southwest, United, American, will give you discounted rates. If you like B&Bs when you travel, consider joining a club and pay $10 or $20 per night with breakfast in the homes of other travelers. In return, you offer your spare room. Evergreen Club at 800-962-2392 or Affordable Travel Club at 253-858-2172. Museums, zoos and science centers offer free admission on the first weekend of each month if you have a BofA ATM, credit or check card. Check it on museums.bankofamerica.com. If you are over 62, Amtrak offers 15% discount and Via Rail Canada offers 10% for over 60. Drive for free by signing up at autodriveaway.com for cars needing to be relocated. You pay $350 refundable deposit, then the first tank of gas is free. Some rental car companies offer similar deals. Free sightseeing excursions with the locals in select areas--globalgreeternetwork.com and the newer europetours.eu offering free walking tours. If you’re leaving at a godforsaken hour, you might prefer a sleep-and-park package combining a night at the airport hotel, shuttle to the airport and parking at the hotel for 7 to 10 days. These deals often cost the same as parking along. parksleepfly.com , stay123.com, parkingacess.com. Irritated at airlines charging for luggage? Join the club. It might be cheaper to send it Fedex [fedex.com] or UPS [ups.com]. Find cheaper gas at gasbuddy.com, gaspricewatch.com or autos.msn.com/everyday/gasstations.aspx. 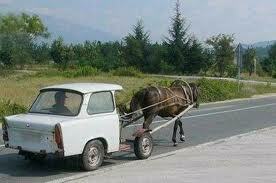 For alternative fuels, check altfuelprices.com. Pay your car insurance annually instead of in installments and save up to 8%. Facing car repairs? First visit repairpal.com to find out what the job should cost. The site gives free quotes based on surveys of thousands of shops. Save $20 an hour and pay less for parts by going to an independent mechanic. Service by a qualified independent is unlikely to invalidate your car’s warranty. But read it carefully, follow the maker’s maintenance recommendations and keep records of service. Now, I’m looking for more tips on how to save money. If you’ve got one, share it with the rest of us. In the past few years, I’ve discovered that the vast array of household cleaning supplied that we all buy–one for the floor, one for the sink, one for the laundry, etc. is really just a marketing ploy to sell more “stuff” and make more money. I’ve substituted VINEGAR for all of the above. I mix it with water and use to clean windows, to get rid of hard water buildup on faucets and shower doors, to wipe down the counters, to mop the floors. I also use one cup with every wash load to take the place of bleach, borax, softeners or whatever else we’ve been bamboozled into “needing.” Vinegar also saves a lot of time outside. Pour it full force into the grass growing in the cracks of your sidewalk or driveway. Bam! Grass is gone. Its uses seem almost endless. Plus, the smell goes away immediately. Home owners have increasingly determined that staying in their homes may no longer be worth the enormous payments because they owe far more than their homes are worth. 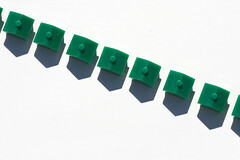 In the past two years homes in Southern California have decreased from 20% to 80% of value depending on the locality. Though in some areas, prices seem to have stabilized, many homeowners have become disillusioned by the loan mods offered by their lenders. What to do? For many, the option is a short sale, either standard or strategic. 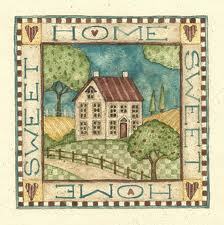 By taking this option, the homeowner and the bank agree to sell the home for less than is owed. Yes, the homeowner does lose the home, but is now out from under the immense burden of an underwater mortgage. What is the downside? Besides losing the home, the downside is a strong ding to the homeowner’s credit from mortgage lates and the short sale itself. Can anything be done to salvage the bad effects of a short sale? The answer is yes and yes. If the homeowner is still making payments while requesting a short sale from the bank, today it is possible for that homeowner to simultaneously purchase another property and close escrows at the same time! This is terrific news. Now, the homeowner can purchase a similar home for sometimes half the price! What about the more common situation where the homeowner is not making the payments before a short sale? Good news there as well since sometimes that homeowner’s credit can be “cleaned” and the short sale or foreclosure eliminated. This is possible particularly for those who have maintained their other payments, but stopped making only their mortgage payments. Of course, sometimes it’s even possible to help those with stronger dings on their credit as well. Cleaning up credit after a short sale or foreclosure is not an easy process, but it can be done. Typically, the client must wait for several months after the short sale or foreclosure has occurred and then start the procedure by requesting a copy of the damaged credit report from myannualcreditreport.com. Notice also that if the client has been rejected for credit after a short sale or foreclosure and that is almost a foregone conclusion, he has the right to request a free credit report for up to 60 days after the credit has been refused. In fact, what can one expect after a short sale or foreclosure? Credit card companies will most likely notice after a month or two and start sending out letters. If the credit card holder has a balance he is paying off, especially a high balance, the credit card company may lower the credit limit to the balance owed. Or, the credit card issuer may summarily close the account with an accompanying letter stating that due to accounts unpaid with other creditors the account is being closed. 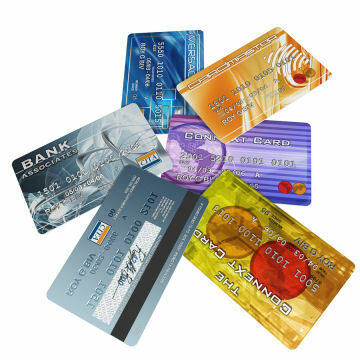 Again, the card holder has the right to a free credit report. Now the credit report, free or otherwise, in hand, the borrower knows the extent of the damage and can start the repair process. Thinking of doing a short sale? Be sure to call me at 626-641-0346. Or, email me at drdbroker@yahoo.com. I specialize in short sales. It’s pretty clear that banks are much better off financially with short sales as opposed to foreclosures. Then, why on earth are these crazy banks making them so complicated? 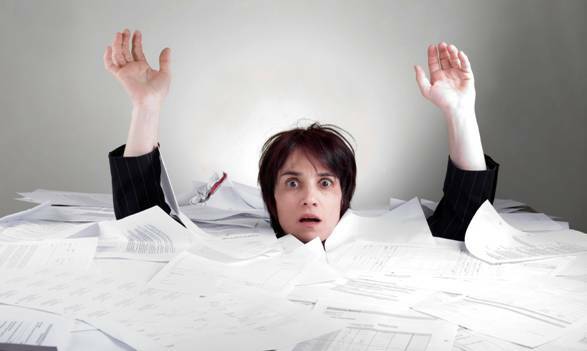 Typically, banks require reams of paperwork for homeowners who wish to do a short sale on their properties instead of heading directly into foreclosure. Primary among the tax returns, financial statements, bank statements, pay stubs, W2s, and such is the hardship letter, delineating reasons why the homeowner can no longer make the payments and so is requesting that the mortgage holder accept less than what is owed on the property and call it good. Some banks have already recognized the futility, stupidity, hypocrisy, call it what you will, of this method and are no longer requiring mountains of paperwork and are, in effect, streamlining the whole process. Wachovia, now defunct, but operated by Wells Fargo Bank, announced quite some time ago that it would no longer require any paperwork other than the listing from the homeowner wishing to do a short sale along with a buyer’s offer. Most marvelous of all, Wachovia actually makes a decision and accepts or rejects the offer within 5 business days or tries to. Contrast this with Bank of America’s [aka Countrywide] 3 to 4 months. Wachovia’s way makes sense, doesn’t it? It recognized that homeowners who are underwater to the tune of 50% or hundreds of thousands of dollars are not going to make the payments whether they are able to or not. They would need to be financial morons to stay in that situation. So, why force or punish the poor homeowner who is nevertheless giving up his home or his investment and require all this useless paperwork? Let’s just face it. With about 24% of loans nationwide underwater, millions of homeowners, clogging up the system with all this useless and unnecessary pasperwork looks more like punishment for the homeowner than anything really needed to make the transaction happen. Listen up, big banks, let’s hear it for Wachovia! These days getting a loan is much tougher than in the “good old days” before September 2007. In fact, if you are self-employed, it’s very difficult. Or, if you are an investor, it’s next to impossible unless you have already made a bundle and can put 40% down on that bargain you spotted driving around your neighborhood or scrutinizing the repo lists. From adversity comes opportunity as the saying goes. From the Great Crash of 2007 is springing an entire new industry–peer-to-peer lending where individuals can borrow at better rates and less paperwork from other individuals who are able to make much better-than normal rates on any spare cash they may have. What do you do if you want to jump on a great deal but don’t have the cash readily available? Enter peer-to-peer or personal lending. 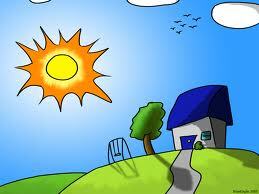 Essentially, this type of lending is for any money need, not just real estate. It’s become popular partly because of that ubiquitous Internet which is putting people together in hitherto unimaginable ways. Let’s say your daughter wants to buy a condo, and you want to lend her the money, but want to make it business-like. Go to Virgin Money . Yes, this is the same Richard Branson company with the airline and the record stores. This company specializes in loans among family members or at least among people who already know each other, so-called social loans. That is, it facilitates the process and puts everything on a business-like footing by supplying loan documents, processing, and third-party collecting. The company also does small business loans and this year added wholesale mortgage loans. This way, you can set up the loan to your daughter as though you were a regular bank and expect repayment in the same way. Fees vary from $99 to $2000 depending on complexity. Then, if you prefer to borrow from strangers or have no relatives with extra cash, you can always go to Prosper where you can get a loan based on your credit score for up to $25000 to pay for school, credit card debt or whatever else you may need the money for. Don’t worry about privacy. If you are a borrower, your identity is not revealed so no potential lender will contact you personally or even know who you are. And, once lenders have committed, they are not allowed to back out, so borrowers have some security. Another site worth considering is Lending Club. This peer-to-peer site purports to offer investors higher returns and borrowers lower-cost loans through its online financial network eliminating the high cost of traditional banks. Borrowers with good credit can get 3-year-term personal loans from $1,000 to $25,000 at fixed rates that are often significantly better than rates from conventional sources. Investors can an earn higher returns: the average net annualized return has been over 9.5% since 2007. Money invested goes to the Lending Club borrowers chosen by the individual investors who generally spread their investment across tens or hundreds of qualified borrowers.